Ex-Browns player Josh Cribbs is under fire today after taking a jab at his former team, while praising his current one, the New York Jets, who are fresh off a 49-9 loss against the Cincinnati Bengals. 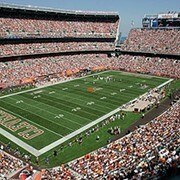 "We're not the Browns," Cribbs told Newsday on Sunday. "We're not the team that gives up. We have fight in this team. They're a motivated bunch of young guys. I'm just happy to be here and be able to contribute ... Love it here." "We lost. It's going to be a lesson for us and we're going to play harder," Cribbs continues. "It's good that (loss) comes now because we're still in the mix of this. We're halfway through the season." 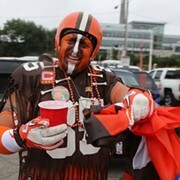 News of Cribbs' dis toward the Browns has been traveling fast, especially here in Cleveland where he was fan favorite for eight seasons. "...the worst 4me? I thought by now u can read thru the chopped up quite a miss conceptions...smh but I know it hard to cypher thru I love y'all like a sibling we can fight as long as we always make up! Be blessed...."
Nice try pushing the blame back onto Newsday, sport. A savvier wordsmith would have avoided such careless phraseology altogether.